This keychain design features a colorful backlit monitor and two viewing modes: manual browse and slideshow. 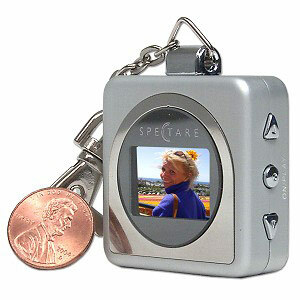 Simply transfer up to 56 photos from your PC to the Digital Photo keychain and you are ready to go. The rechargeable internal battery can be charged by either a PCs USB port or by an AC adapter.